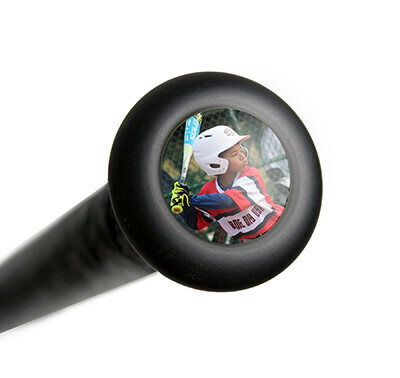 BamBooBats by Pinnacle Sports Equipment Inc. are some of the most durable and dependable wood bats in the business. Built from one of the strongest natural materials on the planet, each model is made from the highest quality bamboo available. 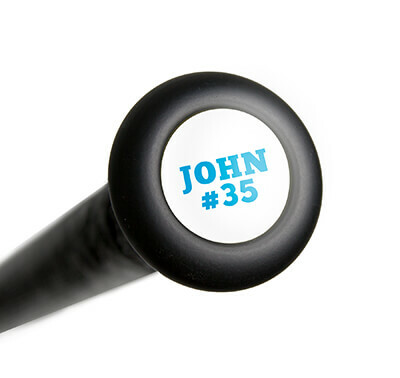 There's no more worrying about breaking a bat like you would see in the normal wood bats anymore. BamBooBat's quality from the core is backed by an unheard of one year manufacturer's warranty. This means that even if you don't connect on the sweet spot and suffer a break, BamBooBat will replace that bat if it happens within the first 365 days from your purchase date. As if that wasn't enough, BamBooBats are crafted with long barrel profiles which provides you with a larger sweet spot for more plate coverage. Plus, with this particular model, BamBooBat has combined the bamboo core with a hickory wood composite hitting surface and a pro cupped end to improve balance, pop, and overall durability. To top it all off, this BamBooBat is made with a high gloss lacquer finish and a newly developed rubberized handle to help reduce the amount of negative feedback to the hands on mishits. BamBooBat: Strengthen Your Game! This Pinnacle Energize III Bamboo/Hickory Wood Baseball Bat (ENZ-HBBB-243) features an approximate drop 3 length to weight ratio, an approximate 2 5/8-inch barrel diameter, and the BBCOR certification for high school and collegiate approval. Plus, all ENERGIZE wood bats feature the revolutionary Fuzioncor technology that delivers unbeatable strength and power. Experience the energy and buy one of these Pinnacle Sports wood baseball bats today with free shipping. Don't forget, with our 24/7 customer service, we'll be here for you from click to hit! Have a question about the Pinnacle Energize III Bamboo/Hickory Wood BBCOR Baseball Bat: ENZ-HBBB-243? Ask our team of experts and they will respond within 24 hours.